Dutch melodic death thrashers Izegrim are back with just under two and a half years of the release of their previous album "Congress of the Insane" which I believe it was the first conceptual album of the band, delving into evilness and falsehood of the human nature, now with twenty years in the scene they are offering us their fifth full length titled "The Ferryman's End" released once again through the French label Listenable Records, the album contains eleven tracks in the vein of bands like Kreator, Arch Enemy, At the Gates or their countrymen Legion of the Damned, "The Ferryman's End" keeps lyrically the same concept format approaching us to the death row, where an inmate is awaiting for his execution, every cut describes the complex stages into the criminal's mind before he got executed by the end of the album, no doubt a very interesting topic. 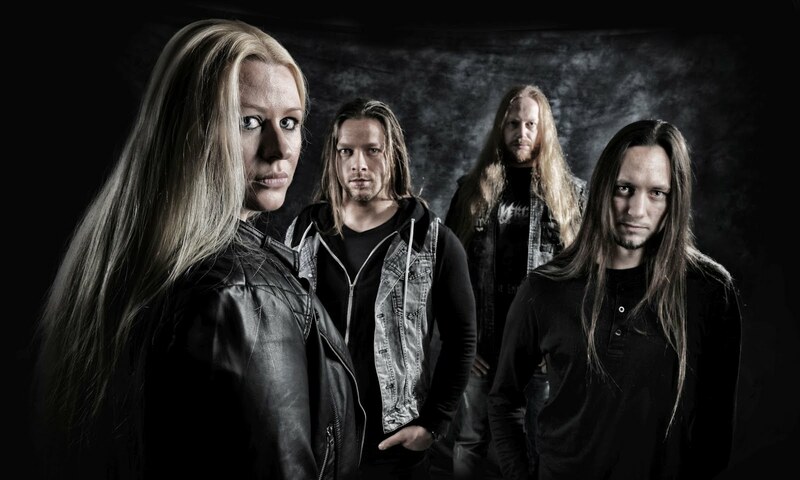 Izegrim current line-up has remained pretty stable during the last eight years, with founder and guitarist Jeroen Wechgelaer, the bassist and attractive vocalist Marloes Voskuil, guitarist Bart van Ginkel and drummer Ivo Maarhuis, I want to believe that due to this unity they were able to achieve a very outstanding songwriting and therefore "The Ferryman's End" becomes the best Izegrim effort to date. "The Ferryman's End" from the beginning offers a crushing melodic death metal dose with "White Walls" built in heavy riffage and somber pace while the drums occasionally slip into a measurable blast beat, "Time to Run" starts with an unrestrained riffs, challenging drums comes in all directions and you feel surrounded by hell itself, Marloes delivers a rawer vocals that strike fear, "Endless Desire" slow paced its way, somewhat predictably when they shift pace, but never reach the ferocity of the previous tracks and sounds bland, "The Evil Within" it charges back with demolishing and fearless riffs, the bass lines sounds outstanding in the background, Marloes raspy vocals owns the track while in the interlude softly adds the whispers, it is followed by "Absolute Necessity" the drum pattern takes the lead due to the intricate, solid and consistent drumming, the song counts with a brief yet melodic guitar solo, "Reclaim My Identity" is absolutely faultless with filthy riffs and darkly bass lines, open the window to throw some clean vocals by Marloes, "Insanity is Freedom" takes an approach into a blackened death sound, while "Reflection of Redemption" fluctuates between obscure and heavy passages, "Through a Glass Darkly" with a more varied structure, brings freshness and versatility with the vicious riffs involved, "Lost in Tranquility" it's the prelude of the story with some generic death metal riffs and blasting drums doesn't make an impact imminent, the last rack in the album is the self-titled "The Ferryman's End" unorthodox start with pummeling drums and sick riffs, as the track keeps going on, turns into a mid paced theme with a dense and brutal rhythmic section, ripping vocals that shatter into a delightful chaos, to end up with the protagonist execution. 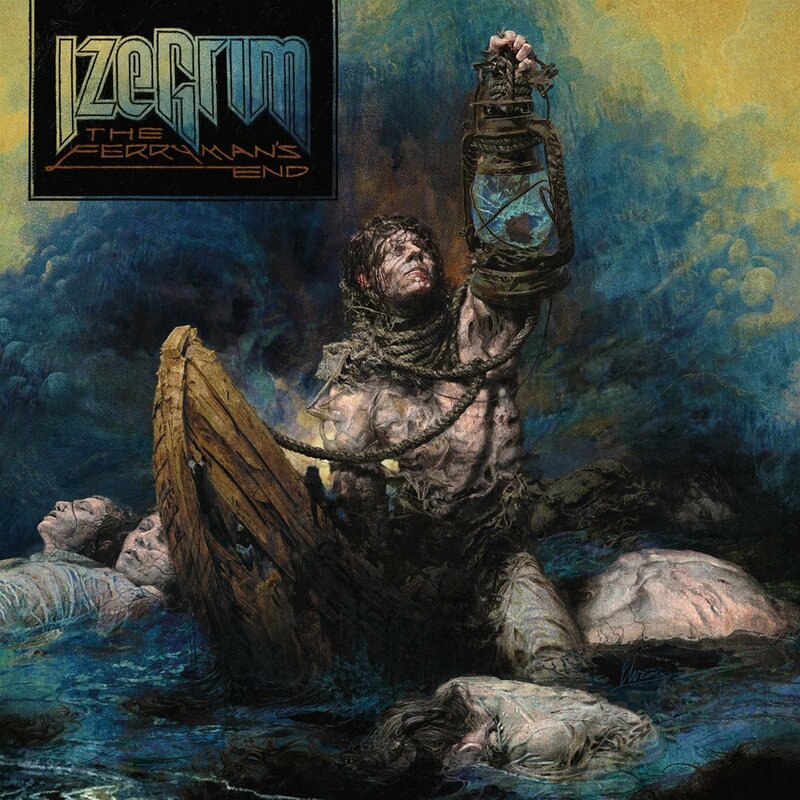 "The Ferryman's End" clearly puts Izegrim as one of the bands that aging doesn't affect or soften their skills playing a persuasive death-thrash metal as always with extreme and relentless virtuosity and brutality, be sure to grab your copy and enjoy this album, you might regret if you don't.